I never really got around to growing out of my teenage skin, and spots and breakouts are something I’ve always struggled with. I’m always on the hunt for something that can heal them up and get rid of them quickly. Something I heard raved about in the beauty world was Origins Super Spot Remover. It seems to be somewhat of a cult beauty item, with many bloggers raving about it, so I decided to cave in and buy it myself. Because if it was as good as everyone talked about, and could sort out my breakouts, then I had to have it. 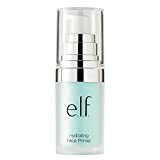 I started using this at night at the end of my skin care routine, before I applied my night cream. It gave off the weirdest tingling sensation before it dried up, and sometimes it was quite uncomfortable on my skin. The next day I didn’t really notice anything different with my skin, my problem spots were still there, although slightly smaller. I used this for a couple of nights and there was still no improvement. In the end my spots cleared up, but still taking the normal amount of time as they would usually. I had really quite high hopes for this product but I could just never seem to get it to work for me, which seems a shame when I spent £14 on this. I have now seen on the Origins website that this now has a new improved formula, so maybe it was something that just needed some working on? In the meantime I’ve decided to stick with my Lush Grease Lightening for my break outs, as they seems to work a lot better for me right now.